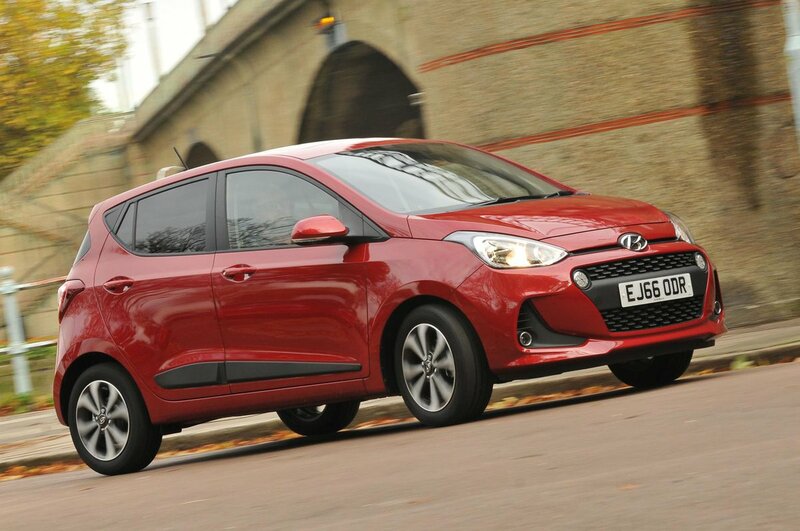 Hyundai i10 Boot Space, Size, Seats | What Car? Despite the fact you sit quite high in the i10, there’s still plenty of head room, even for tall drivers, while those long in the leg won't have any complaints, either. There’s space for your phone in a decent-sized cubby behind the gearstick (where the USB and 12V sockets are housed) plus a couple of cupholders next to the handbrake lever. Both are deep and perfect for normal-sized takeaway cups or 500ml bottles, but you won't get a large cup or bottle in them. There is, however, a space to put a big bottle in the door pockets. The glovebox is big enough to store the owner’s manual and a small portable sat-nav. 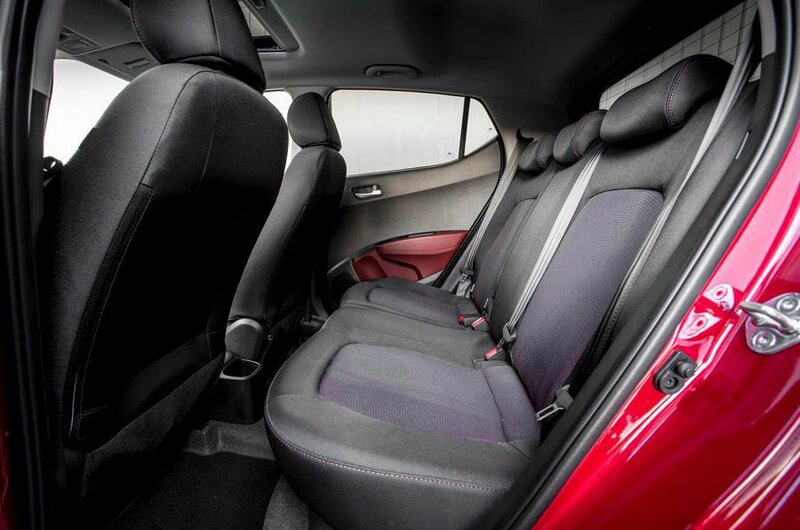 No city car offers more space for rear passengers than the i10. The closest you’ll get is the Suzuki Celerio, but the i10 has usefully more leg and head room. You also get three rear headrests as standard (unless you opt for the SE Blue model, which has only two back seats), and while there is a slightly raised section in the middle of the floor, middle rear seat passengers will still be more comfortable in the Hyundai i10 than in any other city car. The doors also open wide and the tall roof means you won’t have to duck too much to reach a child seat – two of which can be fitted easily using the standard Isofix mounts. There’s also room to store a big bottle in both rear door pockets, although there are no storage pockets on the backs of the front seats. The Hyundai i10’s rear seatbacks are split 60/40 and can be folded down by pulling levers next to the rear head restraints. Before you can do that, though, you have to topple the seat bases forwards by tugging the leading edge and then lifting. After that's done, the seatbacks lie almost completely flat. The front passenger seat isn’t available with height-adjustment, even if you're prepared to pay extra. 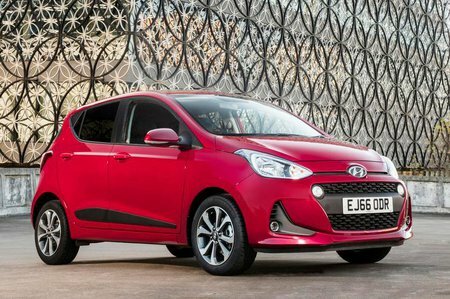 The i10’s boot is bigger than of most of its city cars rivals', but the boot lip is fairly high and there’s a big drop to the boot floor. It’s a fairly basic space, with no storage cubbies, but it’s deep and broad, so fitting a single, lightweight buggy should be easy enough. However, while the rear seat backs lie flat when folded, they do leave a step in the boot floor. Adding the optional space saver spare wheel doesn’t affect the size of the boot, because there’s space beneath the floor. There’s also a simple boot light on SE trim and above.